CoinTiger platform is an exchange that provides multi-cryptocurrency trading services to blockchain lovers around the world. This exchange has a mission to give blockchain enthusiasts with secure and reliable trading services. The steps below will help you start trading Litecoin on CoinTiger. To start, open the CoinTiger site. Once the website is opened, click on “Register” to create an account. You are given two ways to register. You can register through mobile or email. In this example, we selected email registration. 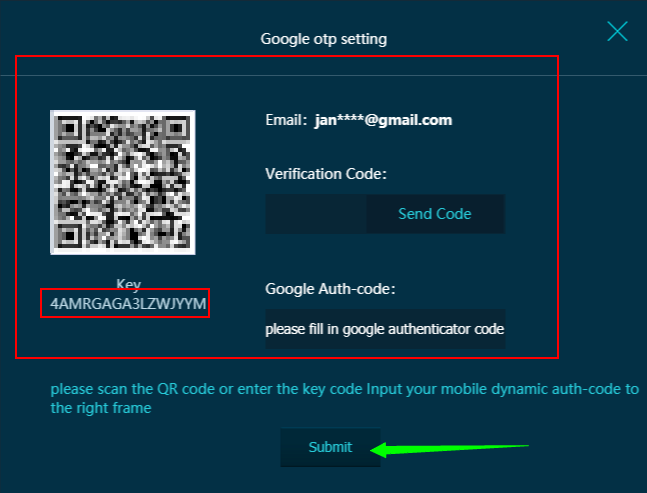 Enter your email address as well as the verification code sent to your email. Type in your password and the referral ID if applicable. 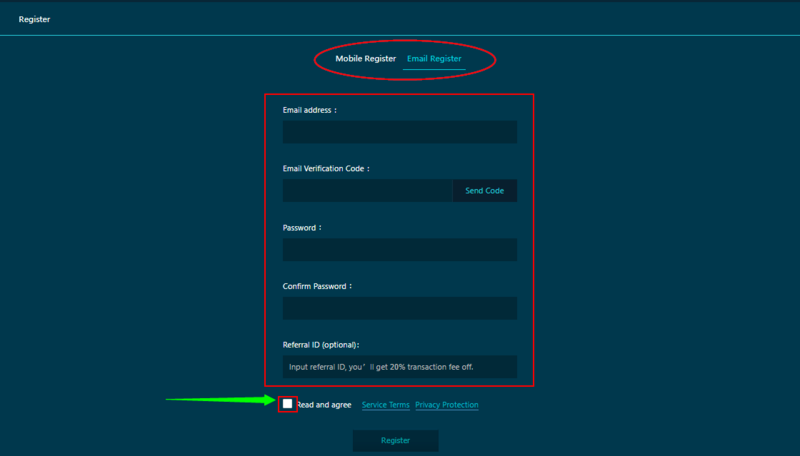 Confirm your agreement with CoinTiger’s terms and conditions, then click on “Register”. After dragging the arrow to complete the puzzle, you will be given a confirmation message that you have successfully registered your account. Great! You have created an account on CoinTiger. You will then be routed to different menus located on the left side of the screen. Click on “Authentication” and upload photos of your passport by following the instructions given by the system. Click on “Submit” to continue. Perfect! You have identified yourself on CoinTiger. Scan the QR code to a generate the six-digit code. Type it in as well as the Verification code sent to your email. Click on “Submit” to continue. Awesome! You have secured your Cointiger account. It’s time to add money on your verified and secured CoinTiger account. To do this, go to “Funds.” There are different ways to go to the deposit environment. You can click on “Deposit” on the left menu or click on “Deposit” in line with the Litecoin of your choice. Excellent! You have deposited funds on your CoinTiger account. Congratulations! You have bought your first Litecoin on CoinTiger. Transferring Litecoin from CoinTiger to other exchanges. How to transfer Litecoin from CoinTiger to Bits Blockchain? How to transfer Litecoin from CoinTiger to BCEX? How to transfer Litecoin from CoinTiger to B2BX? How to transfer Litecoin from CoinTiger to Upbit? How to transfer Litecoin from CoinTiger to Coinfloor? How to transfer Litecoin from CoinTiger to QuadrigaCX? How to transfer Litecoin from CoinTiger to HADAX? How to transfer Litecoin from CoinTiger to OEX? How to transfer Litecoin from CoinTiger to LBank? How to transfer Litecoin from CoinTiger to Fisco? How to transfer Litecoin from CoinTiger to BTCTrade? How to transfer Litecoin from CoinTiger to Qryptos? How to transfer Litecoin from CoinTiger to Coinone? How to transfer Litecoin from CoinTiger to BTCBOX? How to transfer Litecoin from CoinTiger to OOOBTC? How to transfer Litecoin from CoinTiger to YoBit? How to transfer Litecoin from CoinTiger to WEX? How to transfer Litecoin from CoinTiger to SouthXchange? How to transfer Litecoin from CoinTiger to OKEx? How to transfer Litecoin from CoinTiger to OKCoin? How to transfer Litecoin from CoinTiger to MixCoins? How to transfer Litecoin from CoinTiger to itBit? How to transfer Litecoin from CoinTiger to BTC-Alpha? How to transfer Litecoin from CoinTiger to Bithumb? How to transfer Litecoin from CoinTiger to BitBay? How to transfer Litecoin from CoinTiger to Lykke? How to transfer Litecoin from CoinTiger to Independent Reserve? How to transfer Litecoin from CoinTiger to EXMO? How to transfer Litecoin from CoinTiger to DSX? How to transfer Litecoin from CoinTiger to Bitstamp? How to transfer Litecoin from CoinTiger to LiveCoin? How to transfer Litecoin from CoinTiger to LakeBTC? How to transfer Litecoin from CoinTiger to Bitlish? How to transfer Litecoin from CoinTiger to BitInka? How to transfer Litecoin from CoinTiger to Bitfinex? How to transfer Litecoin from CoinTiger to ANXPRO? How to transfer Litecoin from CoinTiger to 1BTCXE? How to transfer Litecoin from CoinTiger to Gatecoin? How to transfer Litecoin from CoinTiger to Kraken? How to transfer Litecoin from CoinTiger to Coinbase? How to transfer Litecoin from CoinTiger to CEX.io? How to transfer Litecoin from CoinTiger to GDAX (CoinBase Pro)? How to transfer Litecoin from CoinTiger to Dragonex? How to transfer Litecoin from CoinTiger to RightBTC? How to transfer Litecoin from CoinTiger to EXX? How to transfer Litecoin from CoinTiger to gate.io? How to transfer Litecoin from CoinTiger to Exrates? How to transfer Litecoin from CoinTiger to CoinsBank? How to transfer Litecoin from CoinTiger to Indacoin? How to transfer Litecoin from CoinTiger to Bitbank? How to transfer Litecoin from CoinTiger to Allcoin? How to transfer Litecoin from CoinTiger to DigiFinex? How to transfer Litecoin from CoinTiger to Idax? How to transfer Litecoin from CoinTiger to BitForex? How to transfer Litecoin from CoinTiger to Simex? How to transfer Litecoin from CoinTiger to Coinegg? How to transfer Litecoin from CoinTiger to Coinbene? How to transfer Litecoin from CoinTiger to TOPBTC? How to transfer Litecoin from CoinTiger to Coinsuper? How to transfer Litecoin from CoinTiger to CoinEx? How to transfer Litecoin from CoinTiger to HitBTC? How to transfer Litecoin from CoinTiger to KuCoin? How to transfer Litecoin from CoinTiger to xBTCe? How to transfer Litecoin from CoinTiger to Bibox? How to transfer Litecoin from CoinTiger to CoinFlux? How to transfer Litecoin from CoinTiger to Bittrex? How to transfer Litecoin from CoinTiger to Binance? Transferring Litecoin from CoinTiger to wallets.